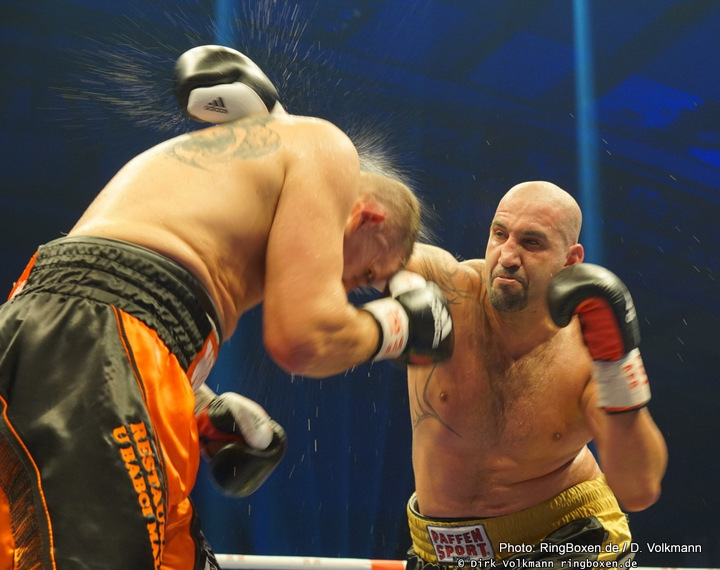 Erkan Teper To Face Robert Helenius On September 29 – better late than never? They were supposed to fight back in 2015, only for a hand injury suffered by Erkan Teper resulting in the fight falling apart, but now, on September 29 in Waldenbuch, Teper will face Robert Helenius in a fight that might, maybe, produce an exciting and entertaining heavyweight battle. The vacant IBF inter-continental strap will be on the line. Teper, 19-2(12) and now aged 36, has seen his name linked with a failed drugs test (yet another name fighter in the seemingly ever growing list) and David Price maintains he would not have been flattened the way he was back in July of 2015 had Teper entered the ring a clean athlete that night. Teper has won just four fights since the 2nd-round KO win over Price and he has fought just once this year – a TKO win over a 16-10 Davit Gorgiladze. Is there still time for Teper to become a force in the division? Helenius, 27-2(16) and the younger man by a couple of years, was last seen outpointing the same guy, Yury Bykhautsou, twice. Before those wins, both coming this year, Helenius lost a wide decision to Dillian Whyte in Cardiff. How much has “The Nordic Nightmare” got left to offer? Stopped just once, by Johan Duhaupas in 2016, Helenius was once a genuine top-10 contender, with some believing he was maybe even a future world champion. But that was a long time ago now. Who wins this somewhat interesting battle of European heavies? Both men can punch and both seem to have a good chin, even now – Teper never having been stopped. Both Teper and Helenius are big men at over 6’5” and if both come in in shape the action could prove quite lively. The loser will have pretty much nowhere to go, whereas the winner might, maybe, bag himself a bigger fight next year some time. Helenius is the pick to win here, the Finn most likely to prevail via a hard-fought decision that might feature a knock down or two. Previous boxing news: Danny Garcia Says He Won’t Be Surprised If He KO’s Shawn Porter – but would you be surprised if he did it? You are here: Home / Boxing News / Erkan Teper To Face Robert Helenius On September 29 – better late than never?